This year in my #Meliora literature and storytelling class, we are exploring narrative non-fiction, focusing on memoir, biography and autobiography. Over the months, we have been examining print books, graphic novels, and films. 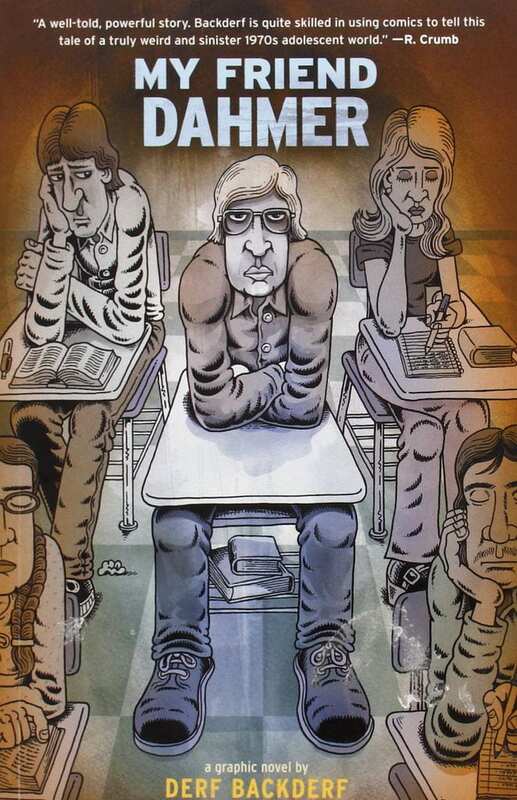 The most recent selection was My Friend Dahmer, by Derf Backderf. 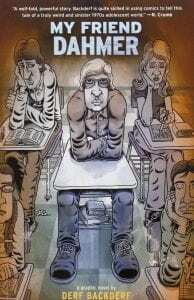 This is a graphic novel non-fiction depiction of Jeffrey Dahmer in his middle- and high-school days. Dahmer and Backderf were classmates, and although not truly friends, ran in some of the same circles. The students all gobbled up this story. I think this was a result of both the compelling story Backderf tells, and the larger-than-life (not in a good way!) character Jeffrey Dahmer was. In our discussion about the biography, the students acknowledged the historical context (1970s) and that some things were quite different at that time. They were nonetheless outraged that none of the adults in Dahmer’s life (parents, teachers, neighbors) lifted a hand to help him as he openly and consistently abused alcohol and demonstrated aberrant behavior. The students further asserted that today these red flags would result in adult intervention, counseling, reaching out to help him. But would they? Just over a year ago, Nikolas Cruz went on a shooting spree that took the lives of 17 students and staff and injured 17 others. A South Florida Sun Sentinel article dated today blares “Teachers feared Parkland shooter a year and a half before the massacre.” The article details teacher and administrator unease with Nikolas Cruz’ behavior, some of them stating they were afraid of him. Mental health counselors made visits to his home a year-and-a-half before the shootings, but found Cruz did not meet the criteria for hospitalization. The most harsh criticism the article offers is that information gathered by a number of people in the school and community was not shared with law enforcement or mental health authorities. Just weeks before the shooting, a caller told the FBI of her fears that Cruz would shoot up a school. The same woman also placed calls with the Sheriff’s office. In another article, the Sun Sentinel describes the erratic behavior exhibited by Cruz over much of his life, including the violence toward his mother and brother that resulted in 23 calls to the Broward County Sheriff’s office over a span of ten years. Then.his.mother.died. Cruz and his younger brother were taken in by a former neighbor, but Nikolas was kicked out because of his objectionable behavior. Another Parkland family then took him in, and he remained with them until he shot 33 people at Marjory Stoneman Douglas High School. I don’t have pat solutions to propose. My heart simply breaks when I see/hear/feel the pain that surrounds me in our fractured society. We.need.to.change. We.need.to.regain.our.humanity. I just finished reading this article, entitled “What’s Missing When We Talk About Grit.” The thoughts shared by the author, Luke Reynolds, echo some of the reflections I have done recently. He describes the fervor with which “grit” was embraced, how it became the panacea for all ills related to disengaged and under-performing students. As Reynolds sought to employ grit as a motivator in his 7th grade classroom, it didn’t always work. What he discovered is that relationship is what mattered most. Once he established a strong connection with students, then the tenets of grit kicked in. I have similar thoughts about the importance of building trusting relationships with our students, as I describe here. Reynolds continues his reasoning by discussing the impact of inequality, and steps we all need to take to help rectify this within our communities. In this post, I discuss some of these same ideas, that when students’ needs are not being met in the lowest levels of Maslow’s hierarchy, they are unable to function well academically. The final point of Reynolds’ argument is we “need to get to know every child’s story—to truly understand the context and the struggle that each child lives through, rather than making assumptions based on generic attributes.” As this article declares, “Why is storytelling so important to the world? It’s our TRUTH.” I explore the question “what is story?” here. The conclusion I draw is that stories tell us many things, and are open to many interpretations, but most importantly, they connect us to each other!